The Micromax A110 Superfone Canvas 2, successor of the Canvas A100 is now available for sale via the online retailer Saholic.com at Rs.9,999. The device sports a 5 inch-ed IPS Display with a resolution of 480 x 854 pixels which comes with a AGC Sodaline screen protector which saves the display from dust and scratches. It supports dual-SIM mode (GSM+GSM, dual-SIM standby), runs on Android 4.0.4 Ice Cream Sandwich OS and is powered by a 1GHz dual-core processor. It has a 8 MP Camera with dual LED Flash on the back and a 0.3 MP Front facing camera for all your video calls. The device has a 32GB expandable memory via microSD. It offers advanced connectivity options like 3G, Bluetooth 3.0, Wi-Fi and GPS. It has an integrated FM radio and a powerful 2,000 mAh battery that gives up to 5 hours talk time and up to 180 hours standby. The device comes preloaded with various apps such as Facebook, M! Zone, M! Store and M! Buddy. The Micromax Canvas 2 A110 is available in two colours – black and white. The A110 Superfone Canvas 2 is the first dual core smartphone which is priced under 10,000. It has created a lot of excitement for all those who were waiting for a good budget phone. It is quite an impressive phone as it is really reasonable for all those features you get in it. Micromax with this phone has proved itselves as one of the most efficient budget smartphones creator. Let us see how does it go for the A110 Superfone Canvas 2. 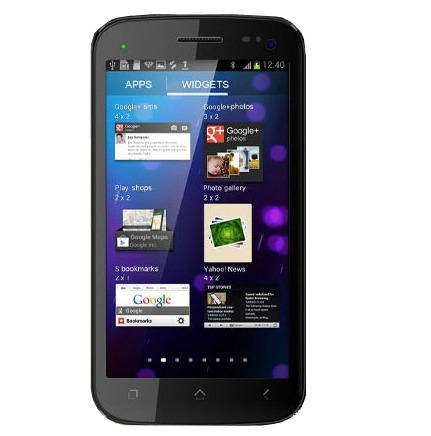 0 Respones to "Micromax A110 Superfone Canvas 2 goes for sale at Rs.9,999"